BlackBerry has just announced a brand new tablet that has far more in common with a Samsung tablet than the company's failed PlayBook. 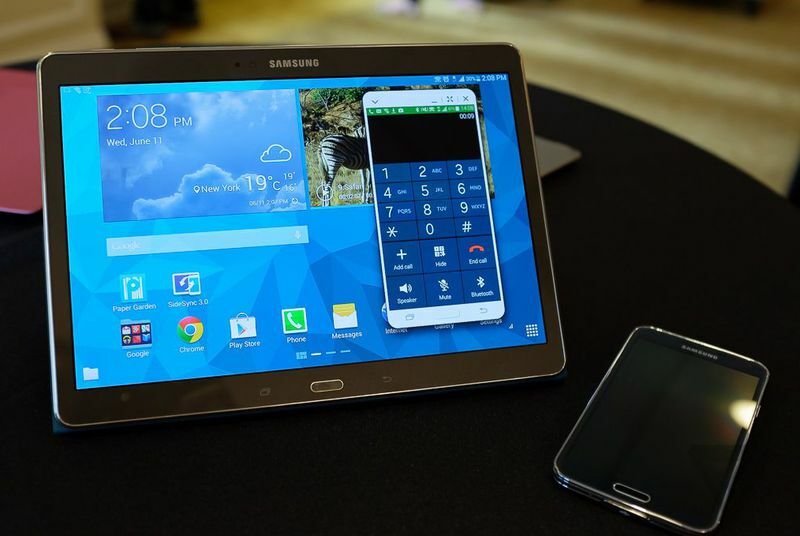 That's because the tablet, called the Secutablet, is simply a modified Samsung Galaxy Tab S 10.5 (pictured above). As you might have guessed from the name, BlackBerry's new tablet isn't made for normal consumers. Consistent with CEO John Chen's plans to turn the company around, BlackBerry is squarely shooting for large enterprise and government orders with this tablet. The Secutablet is designed to be secure enough for classified government documents. The project was led by Secusmart, a security company that BlackBerry purchased last year. The company's encryption technology, which secures phone calls between employees, is built into the new tablet. In addition to working with Samsung, BlackBerry teamed with IBM to make its new tablet. IBM's software silos secure apps from typical apps like Facebook, Twitter, and YouTube, so even if an employee downloads a malicious app it can't compromise secure documents that are also stored on the device. This isn't the first time BlackBerry has partnered with Samsung — last year, the two announced an agreement to strengthen Samsung's Knox mobile security suite with BlackBerry technology. The latest fruit from their partnership, the Secutablet, will be available this summer — we'll have to wait until then to see if it fares better than the PlayBook.